From colorful straws to grocery bags, water bottles, and product packaging, the proliferation of plastic has become an overwhelming global problem. And, finally, it’s also become a household conversation and issue of social concern as an increasing number of companies and organizations talk about the repercussions of not doing something to curb plastic waste. This year, in fact, the United Nations is using World Oceans Day on 8 June to encourage the Earth’s inhabitants to help keep the oceans clean. The Ocean Project, an organization focused on conservation education and action with an eye toward healthy oceans, spearheads a massive initiative aligned with World Oceans Day, and this year its resources and activities are focused on plastic pollution prevention. 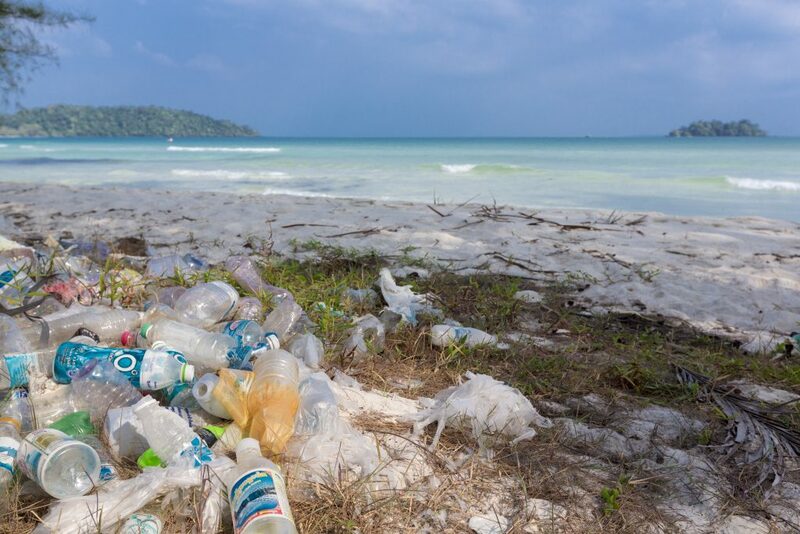 And for good reason: According to a recent National Geographic article, between 5.3 million and 14 million tons of unrecycled plastic waste ends up in the ocean each year. That’s a lot of garbage clogging the world’s waterways, destroying natural habitats, killing wildlife, and poisoning the life source all living creatures rely on. 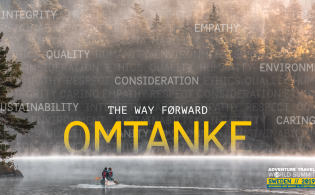 The Adventure Travel Trade Association (ATTA) has committed to helping combat single-use plastic bottles as one of our strategic initiatives, and we are not alone in the adventure travel space in our commitment to do what we can both as an organization and as individual team members to curb plastic waste. 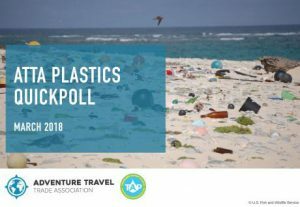 The ATTA recently released a report highlighting the status of plastics use in the adventure travel industry and opportunities for companies to become involved with the global initiative. 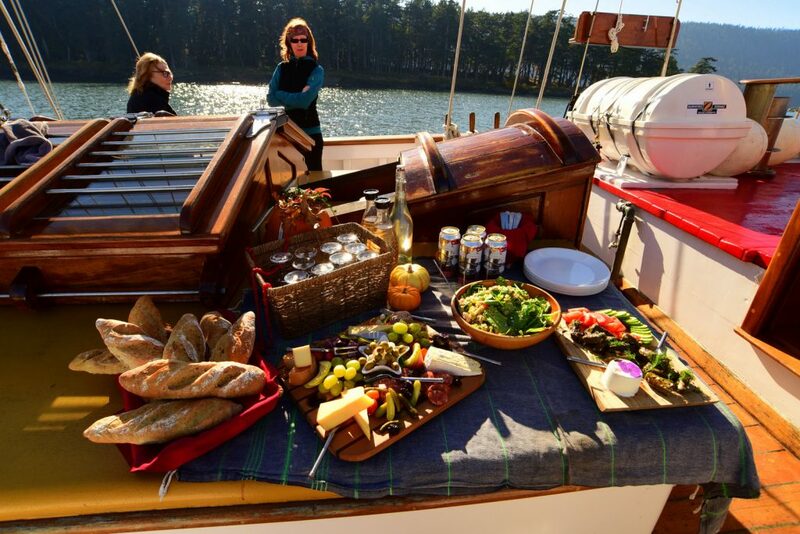 Peregrine Adventures has banned unnecessary single-use plastics from exclusive charters in its 2018 offerings of adventure cruising. 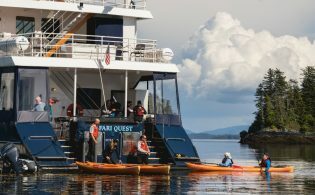 The company has it written into all of its contracts asking suppliers not to use products like single-use straws, cups, water bottles, and plastic bags on board — an initiative that has been very positively received by guests. Exodus Travels is actively working toward providing safe drinking water without the use of single-use plastic bottles in destinations where this can be tricky at times. 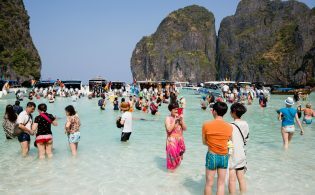 “We are pretty proud … that on 80 percent of our trips, clients can now travel in the knowledge that they can be single-use plastic bottle free if desired — all water is either provided, treated, safe to drink from the tap, or advice is given regarding how to treat yourself,” said Megan Devenish, responsible tourism manager for Exodus Travels. In 2017, Adidas sold 1 million shoes made out of ocean plastic. Each pair of shoes reuses 11 plastic bottles. The environmental initiative is in partnership with Parley for the Oceans. By the end of 2023, the United Kingdom supermarket Iceland, which specializes in frozen food, has committed to eliminating plastic packaging from its own brand products. In April 2018, more than 40 businesses (including Tesco, P&G, Coca-Cola European Partners, and Unilever) signed the U.K. Plastics Pact, which outlines a number of goals to be met by 2025. Among these commitments are getting rid of problematic or unnecessary single-use plastic packaging; making all plastic packaging reusable, recyclable, or compostable; and ensuring 70 percent of plastic packaging is effectively recycled or composted. National Geographic tackled the plastics problem in its June 2018 issue. It is also actively investigating how plastic moves through watersheds and supporting solutions to reduce the flow of plastic waste into the ocean. The European Commission just proposed new rules for member states that include an outright ban on single-use plastics, increased labeling on certain products, and reduction of plastic material use. The plan will now go to the European Parliament and Council for consideration. Two apps, Refill and RefillMyBottle, are new initiatives mapping destinations in Bali and the United Kingdom where travelers can fill their reusable water bottles on the go. Given the enormity of the plastics pollution problem, it is reassuring to see a wide range of industries are now taking action to address it. But this conversation can’t stop here if we as the adventure travel industry and we as global citizens are going to turn the tide. This World Oceans Day, we encourage you to consider what you can do today to keep one more piece of plastic from entering the ecosystem. 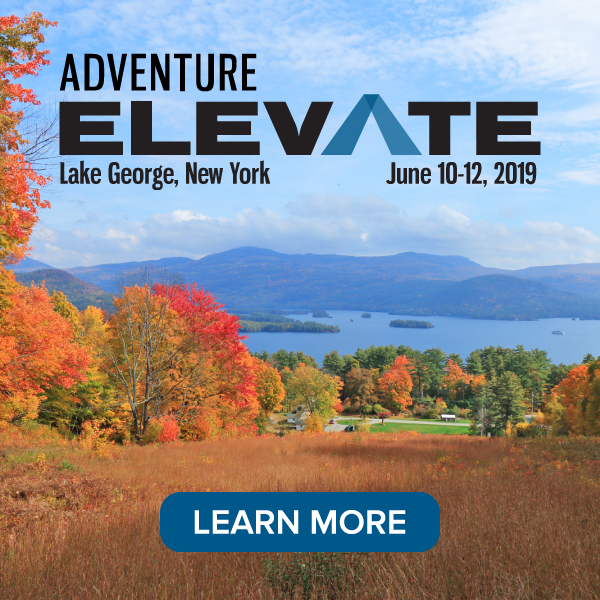 ATTA members are invited to join the discussion about innovative plastics solutions in our dedicated Adventure HUB group. If your business is already active in eliminating single-use plastics, we would love to hear from you at [email protected]. Love that this is in the forefront all over the place right now! Last night on my local news they were talking to a company who plans to turn the plastics in some of the worst rivers in the world in to a returnable product, benefiting the locals who collect them. I hope it is successful. My 6 year old is opening his eyes to this after watching a Netflix documentary seeing dead birds with stomach’s full of plastic. I have added a recent post on my site about using less plastic on vacation as a traveller to reduce the impact we may be having on the environment. Changing the minds of young kids is easy, we just have to get our own mentality changed (I sit here while I am sipping a starbucks and even I forgot to ask for a “for here” cup today). I wish they would ask. then I would say yes everytime! Great point, Lindsay! And thank you for sharing the additional ways you’re seeing talk about eliminating plastics within your own life. How encouraging that it’s becoming more mainstream and hopefully we will continue to see change take place, even in places like a grocery store or Starbucks where paper bags and “for here” cups become the norm.